Takis - High CTR, SEO Friendly and Responsive Blogger Templates is a simple template. It's fastest loading, fully responsive and mobile-friendly too. 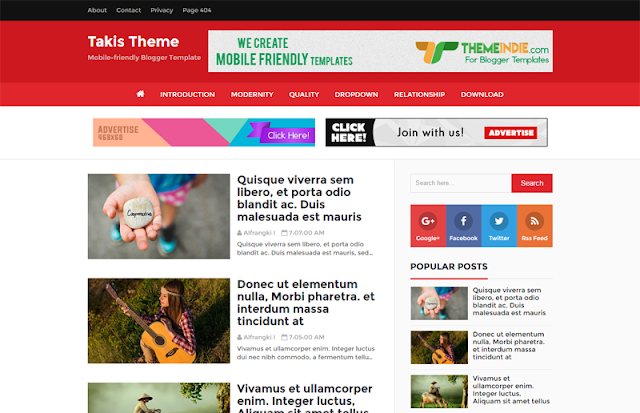 TakisTheme was optimized and recomended for playing Adsense or anything else about ads publishing. Tag H1 and H2 ready to more SEO and visitor friendly to your blog. So, download free and apply this template to your blog right now!